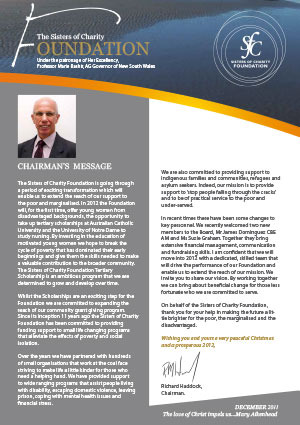 Receive information about our upcoming events, new initiatives, updates and stories from our community grant and scholarship recipients, and more. 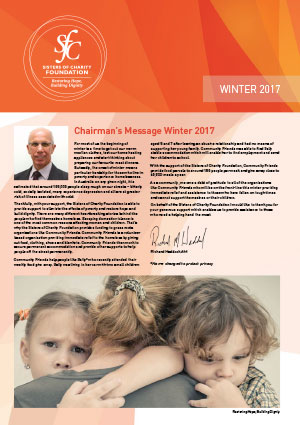 The newsletter is sent twice a year. 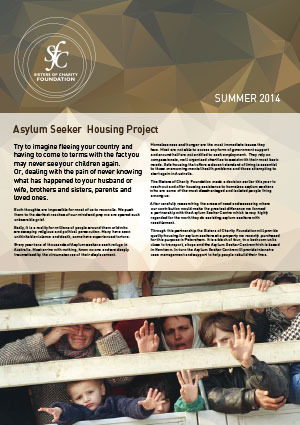 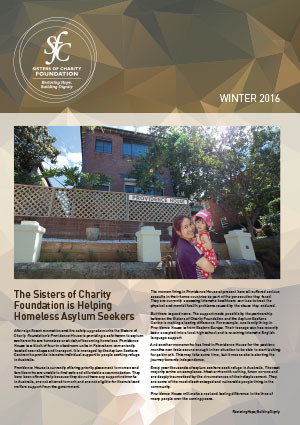 The Sisters of Charity Foundation is Helping Homeless Asylum Seekers. 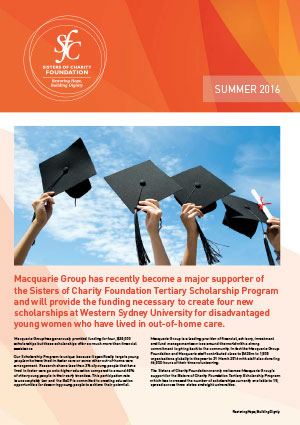 Celebrating the first graduate from the Sisters of Charity Foundation Scholarship Program. 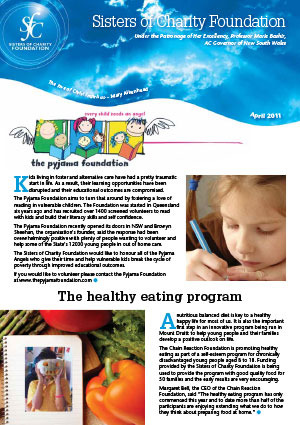 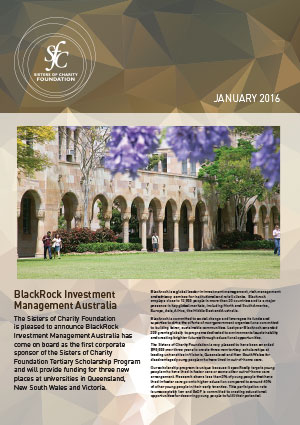 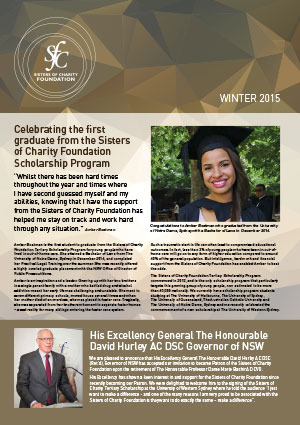 The Sisters of Charity Foundation Scholarship (Aikenhead) Program. 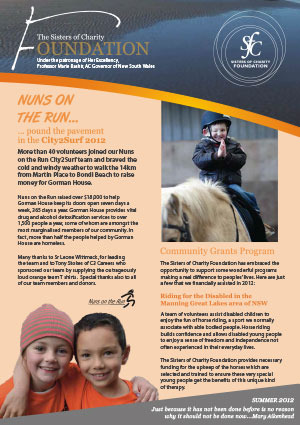 Nuns on the run - pound the pavement in the City2Surf 2012. 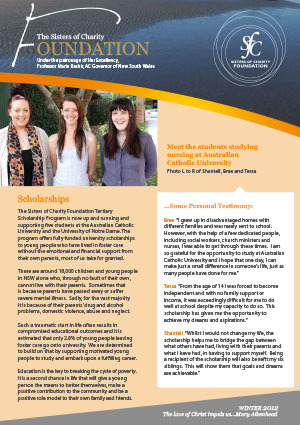 Meet the students studying nursing at Australian Catholic University.